Anyone for Tennis? 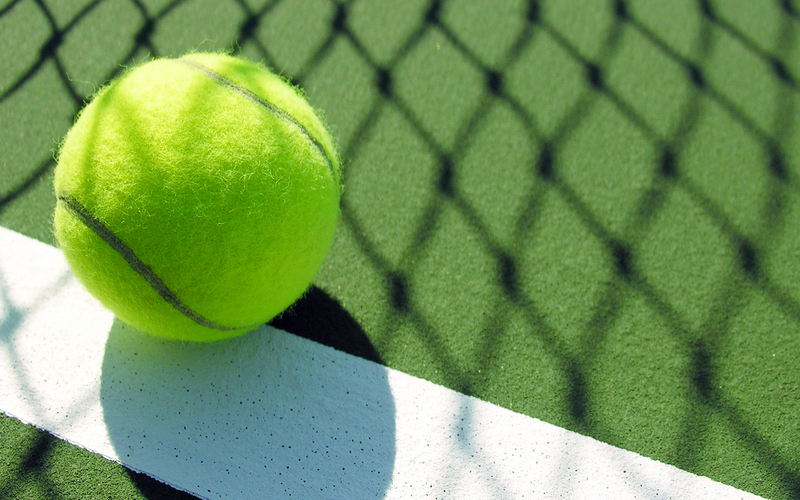 Enjoy our all weather floodlit tennis courts – open to members and non-members. Avail of private or group coaching, join in our club night mini tournament, or just have a knock around with friends. Pay and play at any time for as little as €5. Club Nights – Thursdays @ 7.00 pm. €5 Pay & Play – Mini Tournament with Social afterwards. Mixed Standard. All levels welcome. Ladies Morning – Fridays at 10 am – €5 Pay and Play – Ladies mixed standard game followed by refreshments afterwards. A great way to meet people. Three all weather, sandbased, floodlit tennis courts, are available to members and also on a green fee basis. Call us on 021 489 19 78 to book. Adults: €7.50 per person or €15.00 per Singles Court, Doubles Court €20.